Thank you for coming to my site. I created this during the first half of March 2017, and you may find some bits of construction dust floating around—sorry about that. I’m writing this in the capital of the country I was born in. I’ve worked since 2010 at the Washington Office on Latin America (WOLA), a non-profit human rights group that has grown fast and been a pretty dynamic place over the last several years. There, I run a program called Defense Oversight. It monitors the U.S. military relationship with Latin America and the Caribbean: there’s a difficult history there, and it’s important that citizens keep an eye on it. I also contribute to WOLA’s Colombia and Migration and Border Security programs. Before WOLA, from 1995 to 2010, I worked at the Center for International Policy, a great place where I ran a very similar program monitoring U.S. military aid in Latin America. (There, I often worked in coalition with people at WOLA who are co-workers now.) Before that, right out of grad school in 1994 and 1995, I worked at the Arias Foundation for Peace and Human Progress in Costa Rica. On the job, I track arms transfers, training programs, exercises, bases, and security threats around the region. I do it from a human rights perspective: I want to know what U.S. activities with Latin American military and police forces might pose a risk (inadvertent, I hope) to those countries’ citizens, upset fragile civil-military relations, or exacerbate conflicts. I also want to know when things are working. When they are not—or when the potential for harm is too great—we work with allies in Congress and elsewhere to stop or to condition them. It’s a fun job. I get to do original research and write. I get to travel a lot. (I’ve been to Colombia at least 70 times since 1998.) I get to code and blog. I get to meet and work with some very brave and brilliant people. I get to lobby Congress and even testify in hearings once in a while. I get to speak before audiences, teach students, and talk to reporters. Oh, and I get to raise money to pay for all of this. 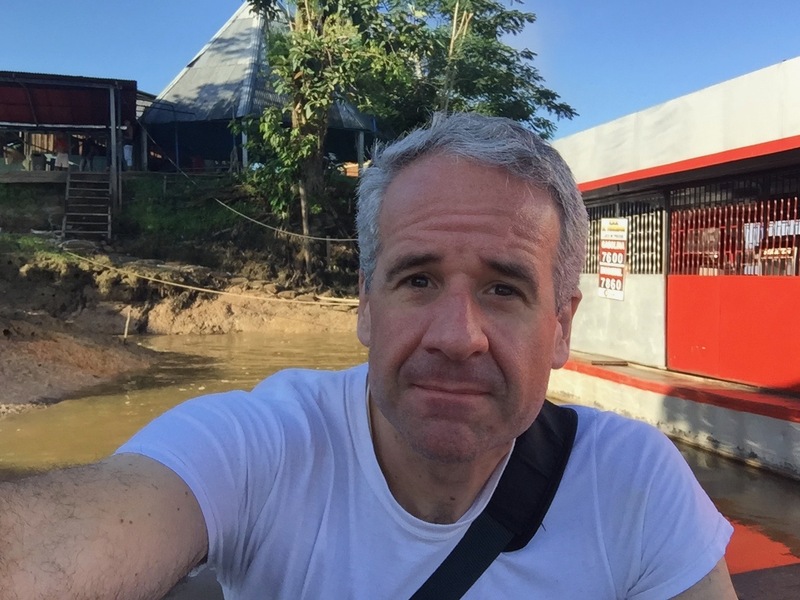 The job has taken me especially to Colombia and Mexico, the number-one and number-two military-aid recipients in the hemisphere during my 20-plus years of working in this area. In Colombia, I’ve gotten to know very well the conflict and the recent efforts to end it peacefully. In Mexico, I’ve gotten to know border security and migration. I depend on my great staff to keep a close eye on Central America, where I started working in the mid-1990s and where U.S. aid has been increasing again. In Washington, I get classified as a “liberal” because I believe human rights are centrally important and that non-military solutions usually show more promise. I prefer to say I value truth, I worry that inequality (of opportunity, ethnic, racial, gender) is holding us back as a civilization and even pushing us toward barbarism, and that government can help, up to a point. In my view, the actions of the U.S. administration that took power in January 2017 run counter to these beliefs and values. I am in opposition. What else? I live and work in Washington. I’ve been married to my wife, a federal government employee, since 2002 (and we’ve been together since grad school, in 1993; her views are not necessarily reflected here). I have a great daughter who goes to middle school just a few blocks from my office. I went to Hampshire College for undergrad (1988-1992) and then to Yale University for an M.A. in International Relations (1992-1994). But seriously, enough about me, I’m bored. If you can really stand to know more, here’s how to contact me.